Wilson Communications is proud to announce that we now offer Home Emergency Alert! Now you can have peace of mind that your loved ones are safe when you subscribe to this new service. 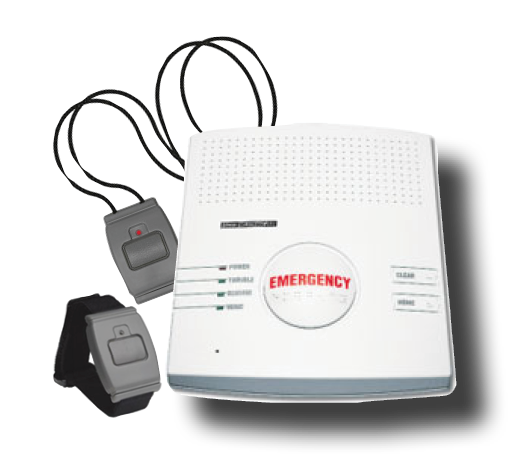 A Home Emergency Medical Alert system enables seniors to live safely and independently in their own home. The Federal Communications Commission and the Kansas Corporation Commission have established a program to make telephone service more affordable to eligible customers. Lifeline Service is a program designed to make telephone service available at reduced rates to eligible residential customers. To learn more or to see if you may qualify follow the link above or download an application. If someone else at your address qualifies for Lifeline, please use the Household Worksheet. The Kansas Attorney General's office is responsible for enforcing the Kansas No-Call Act. This act prohibits businesses from calling consumers in order to sell a product or service. Organizations soliciting charitable donations, calls concerning political candidates or issues, or other calls unrelated to the sale of property or services do not fall within the scope of the Kansas No-Call Act. Add your name and number to this list. TAP is a telecommunications equipment distribution program. The program is funded pursuant to state law through the Kansas Universal Service Fund (KUSF) and is regulated by the Kansas Corporation Commission (KCC). The purpose of TAP is to provide specialized equipment to Kansans with disabilities or impairments in order to access basic home telecommunications services. Download an application.